Imagine a world where workplace learning and support materials are delivered as conveniently and seamlessly as music on Spotify or films on Netflix. 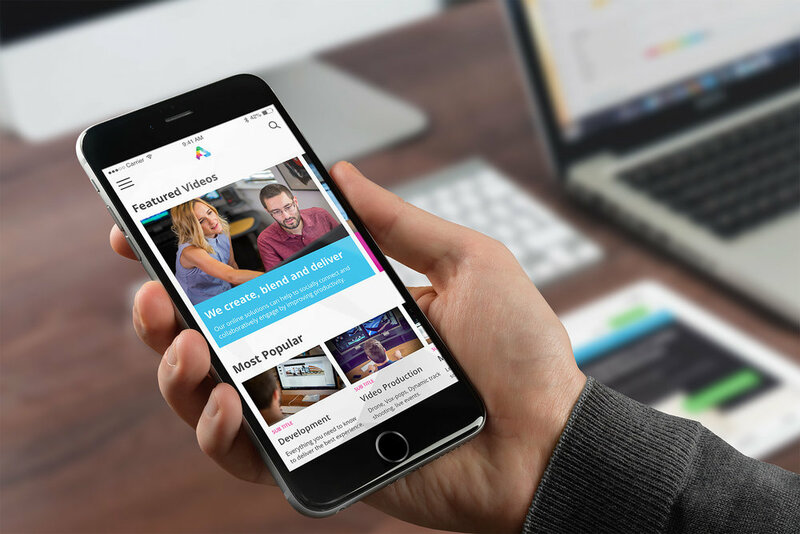 We’ve created an App, where a company’s knowledge can be housed and governed by L&D departments, creating blended workplace learning with great outcomes for the Modern Learner. Our clients are excited at the prospect of building Knowledge Banks, continuous learning experiences that can be adapted to individual needs, whist aligning development needs of the business. We can help you to support the Modern Learner. Pop by to our Launchpad for an informal chat and live demonstration at the Learning Technologies 2019 exhibition at Excel, London, from 13 - 14 February (stand LP5). What is a Knowledge Bank? It allows modern, self-directed learners to independently locate and access resources anytime, anytime on any device. You can upload small ‘bite-sized’ chunks of learning materials and tailor-made, easy to reach content that contains tips, video clips, knowledge checks, PDF’s or other types of content all acting as a resource hub. Forward thinking, innovative app to support ‘Find it’ Informal Learning. Content is created, curated and uploaded in small bite sized chunks supporting Micro-Learning. Available in one place, accessible anywhere, at anytime on any device. Intuitive and easy to navigate, powerful search engine, designed specifically for accessing workplace learning. Users create their own learning journey, receiving suggestions for other learning or new additions that may be of interest. Knowledge Banks allow learners to take control. Through sharing content with colleagues a culture of social learning will begin to develop within the organisation. In the process, learning has moved from a top-down provision to a bottom up approach. We look forward to seeing you at our Launchpad! If you’re not going to Learning Technologies 2019, contact us for more information, arrange a meeting or have an informal chat.